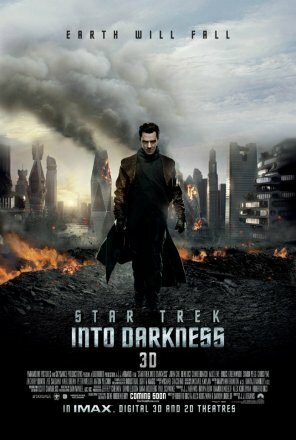 A new viral video for Star Trek Into Darkness hit today featuring Benedict Cumberbatch as John Harrison. In the video, Harrison is giving a stern warning of things to come for Captain Kirk (Chris Pine) and the rest of the Enterprise crew. Is it just me, or does this seem like half-hearted copy of the viral that came out earlier in the week for Man of Steel? Star Trek Into Darkness stars Zachary Quinto, Zoe Saldana, Karl Urban, Simon Pegg, Anton Yelchin, John Cho, Bruce Greenwood, and Peter Weller.